Over 100 years ago Alfredo Danesi established the "Nencini e Danesi” coffee shop in Rome, Italy. 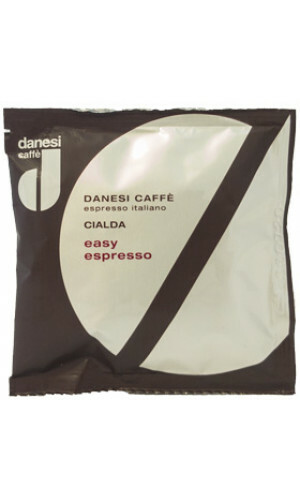 Danesi coffee works from the premise that the best coffee can only be produced from the highest standards. The Danesi pods are characterised by a perfect and harmonious combination of Arabica Coffee from Central and South America. An overwhelming smoothness, sweetness, fine aroma and intense flavour, featuring delicate notes of lemon and chocolate are the product's properties. Its ideal body structure is obtained through the best Robusta available worldwide. At the touch of a button, guaranteeing consistent great coffee quality. Try the perfectly proportioned and sealed Danesi pods today!